You would be hard pressed to find a healthy 1970s Brat in good order these days – most have been run into the ground, and when they (rarely) show up for sale, it's purely because the owner has grown anxious of repair costs. 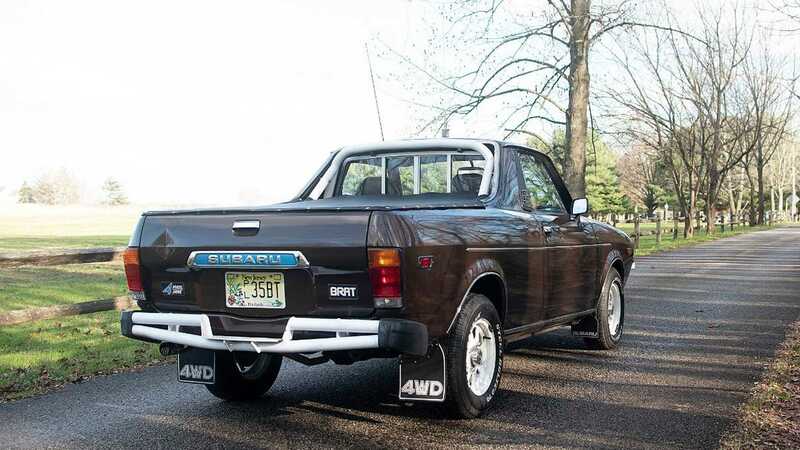 This Subaru is a definite exception, and its low mileage and prestige condition has just earned the previous vendor an eye-watering sum of $46,198 when it was sold a few days ago. The small number of miles driven and high level of care might have something to do with the fact that the car was owned by a former Subaru executive, until the seller bought it 2018 with 2,000 miles on it. 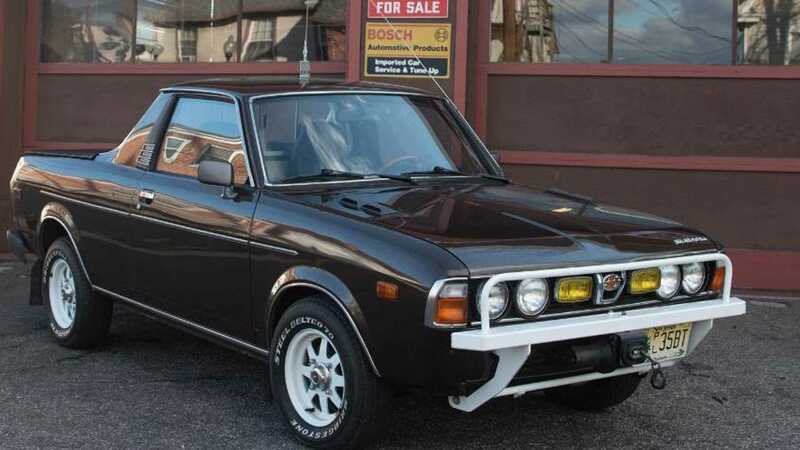 The colour is also an interesting shade of Mellow Brown, paired with a white roll bar and contrasting bumpers and wheels for a truly unique mix. 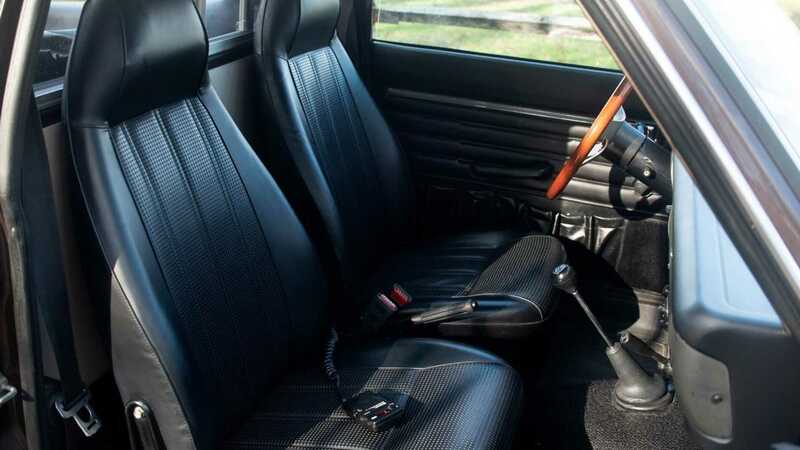 The spotless and rip-free interior is covered in black vinyl, featuring only two seats on the inside, but don’t forget about the jump seating in the bed. Dealer options like a CB radio and winch would hint that the car was primarily used as a display vehicles. 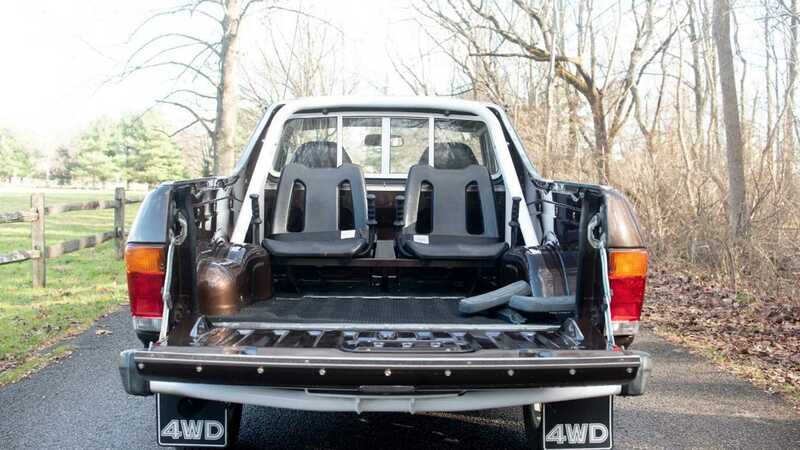 Powering the Bi-drive Recreational All-terrain Transporter is a 1.6-liter four-cylinder boxer engine that’s backed by 4-speed manual transmission. A single-speed transfer case sends power to all four wheels and the underbody is coated to prevent rust. Included with the car is a lot of information and documentation, including a note from 1993 that recorded the mileage at 1,494. Whether or not this represents a price jump or signals to BRATs being an up and coming collectable is hard to tell. This is most likely a one-off situation due to the seriously nice condition in contrast to other examples out there.